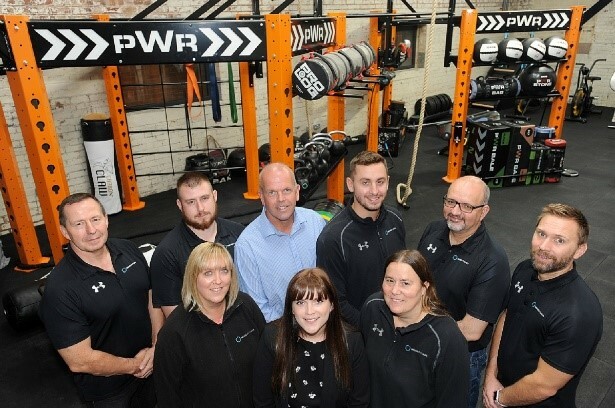 Thanks to a £62,070 grant from the Coventry and Warwickshire Green Business Programme and a £43,497 grant from the Investment Fund, a Nuneaton based business, Indigo Fitness was able to expand their business and achieve energy efficiency savings at their newly acquired site on Whitacre Road. Indigo Fitness applied for a grant from the Coventry and Warwickshire Green Business Programme which is part financed by the European Regional Development Fund and is being delivered by Coventry City Council, Coventry University and Coventry University Enterprises Ltd. The programme is open to businesses with less than 250 employees based in Coventry and Warwickshire. Trading since 1996 Indigo Fitness is the UK’s largest Fitness equipment manufacturer. They design, manufacture, assemble deliver and install products and services for the Commercial Fitness sector as well as for the MOD. Having recently moved to a former Co-operative Society distribution centre that dates back to the 1960’s, they have completed extensive renovations, bringing the building in line with the latest standards of safety and energy efficiency –works included a new fully insulated roof, Infrared Heating, and cutting-edge Sensor controlled LED lighting throughout, both designed to reduce 35 tonnes of CO2 emissions every year with the help of the two Business Support Grant Programmes. A number of new product areas have already been identified following the Grant Programmes with the new site allowing more comprehensive onsite testing and evaluation. One major growth area is outdoor gym systems not just for the UK but for the Sporting, Military, Humanitarian Aid, Oil, Gas and Mining Industries. Indigo Fitness applied for a grant from the Coventry and Warwickshire Green Business Programme which is part financed by the European Regional Development Fund and is being delivered by Coventry City Council, Coventry University and Coventry University Enterprises Ltd. The programme is open to businesses with less than 250 employees based in Coventry and Warwickshire.